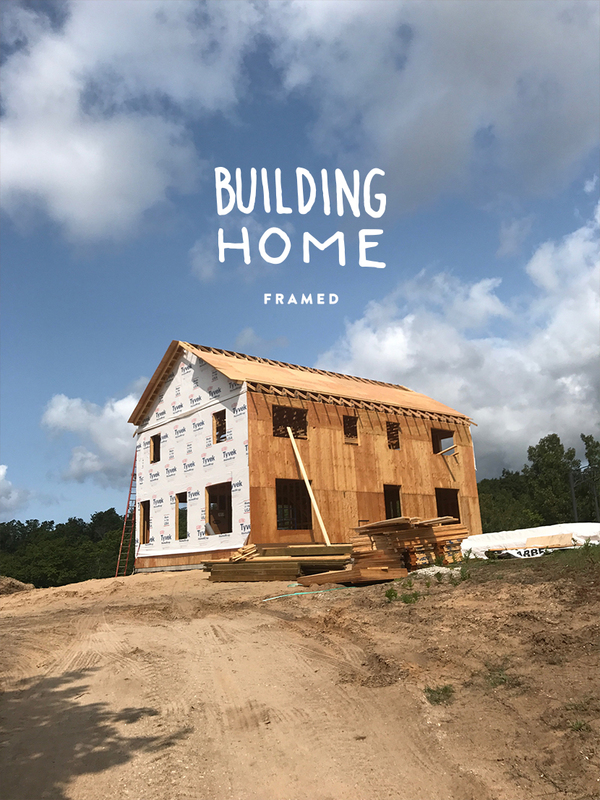 Building Home: We Are Framed! My gosh, these last few months with the house has been a whirlwind. I am still trying to wrap my brain around the fact that we have a house that is standing on our property. How this happened is still baffling me. I looked at it this week and was just kind of in shock. 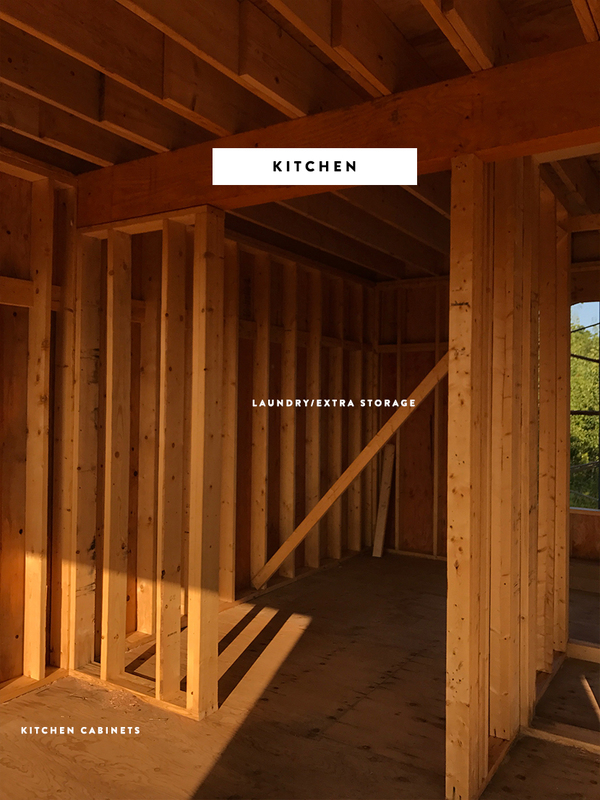 Our team at Shugart has been cranking away and been amazing through the whole process. 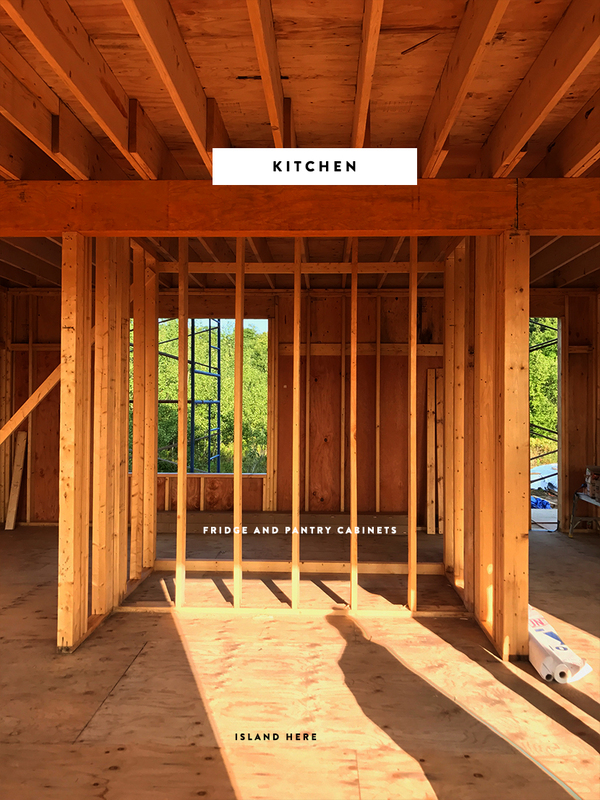 Every other day or so our foreman, Adam sends awesome photos of the progress. Obviously walking through the house is the most exciting part though. Feeling the spaces as the walls go up and we start seeing it come together is absolutely incredible. 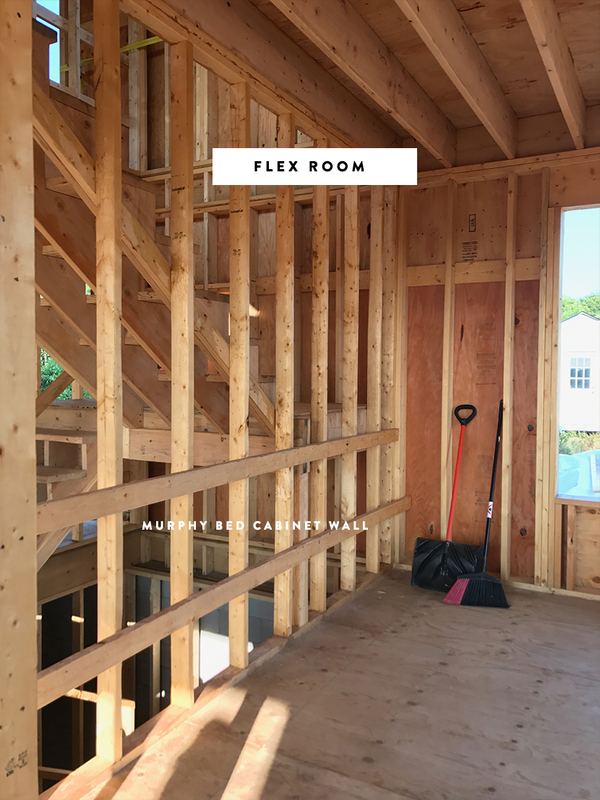 Since so many of you have been loving our photos, I thought I would share some shots of the house thus far for you to check out. The framing is nearly complete. 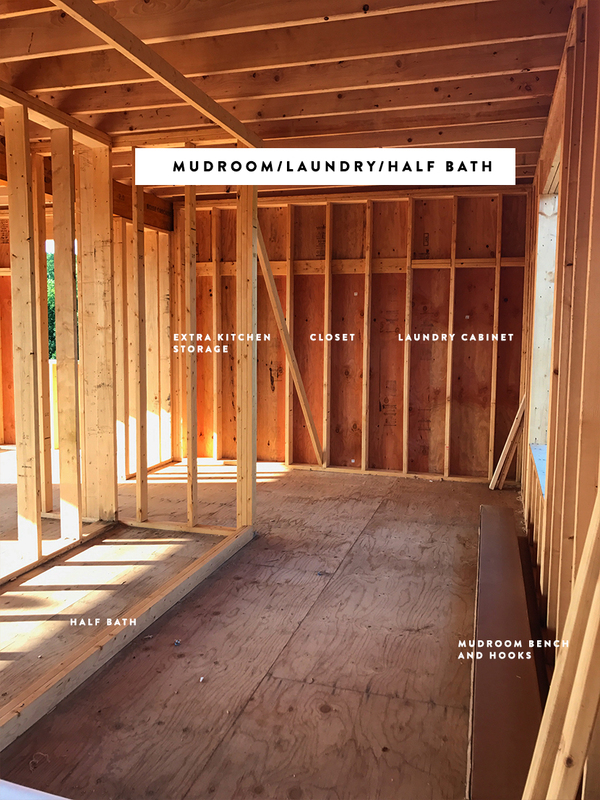 This week we will be working through all the details with plumbing and HVAC. Then the following week our windows will start going in and our roof should be complete as well. 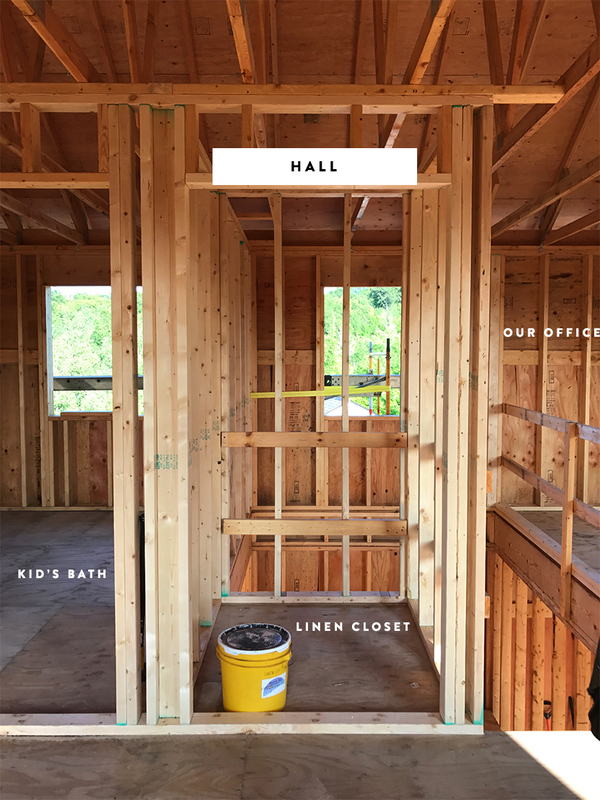 Currently, our rough projected timeline from our builder puts us in around Christmas this year, which is wonderful timing and much sooner than we anticipated. On the main floor currently everything is framed in other than our fireplace is in need of the frame, but everything is decided and ready there. 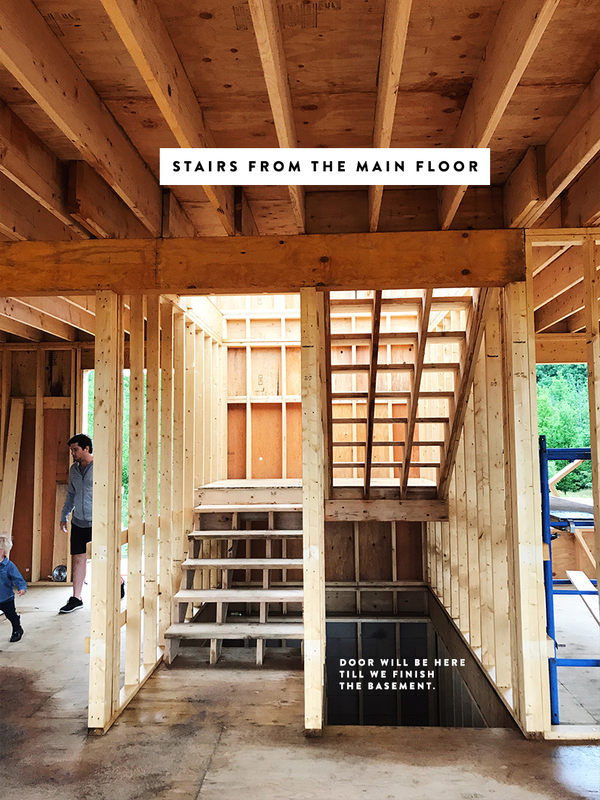 More on the exact design of these spaces over the next few months. 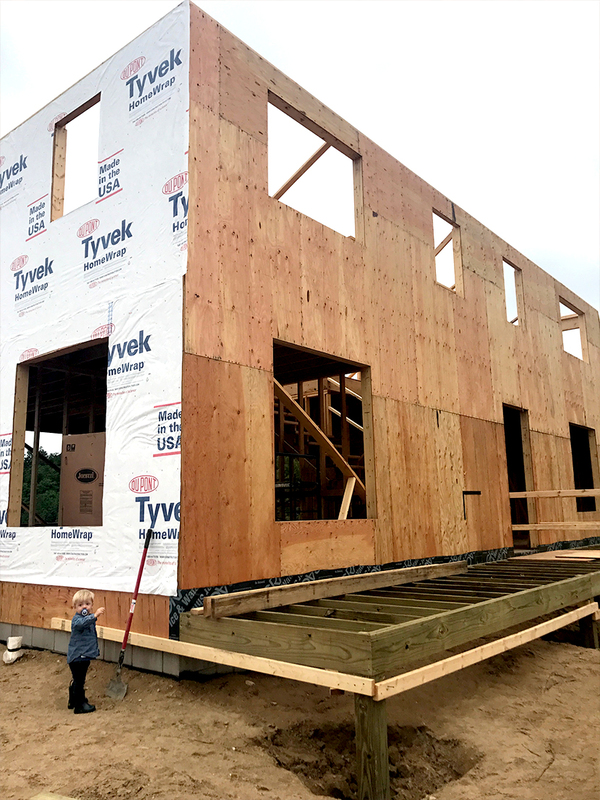 On the upper floor, all of the walls that will contain the plumbing are framed and the rest will be plumbed in the next few days. You can see how it is coming together below. 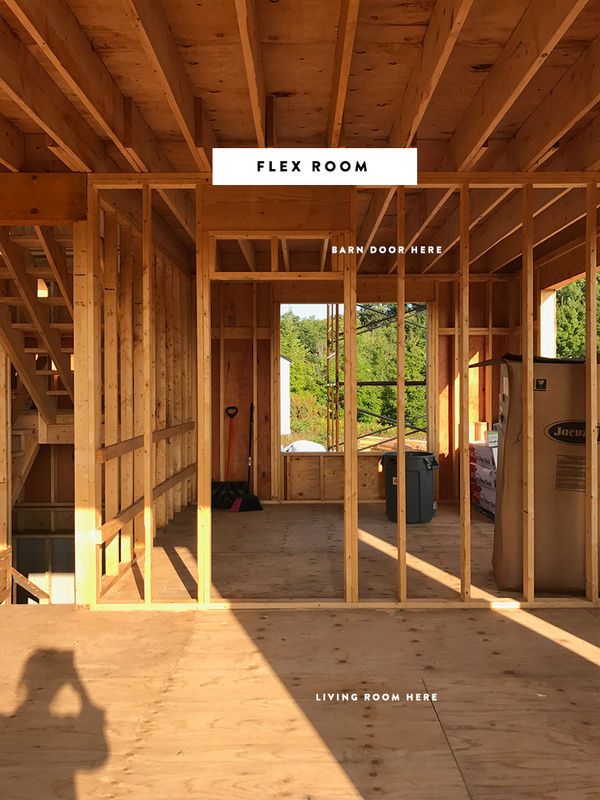 Now that the house is framed out, for the most part, we are able to give you a clearer image of our design ideas for each room and we are personally more able to give ourselves clear ideas of how it will come together. Walking the spaces and feeling them makes a huge difference. Keep watching our stories on Instagram for updates. We share there a few times a week. 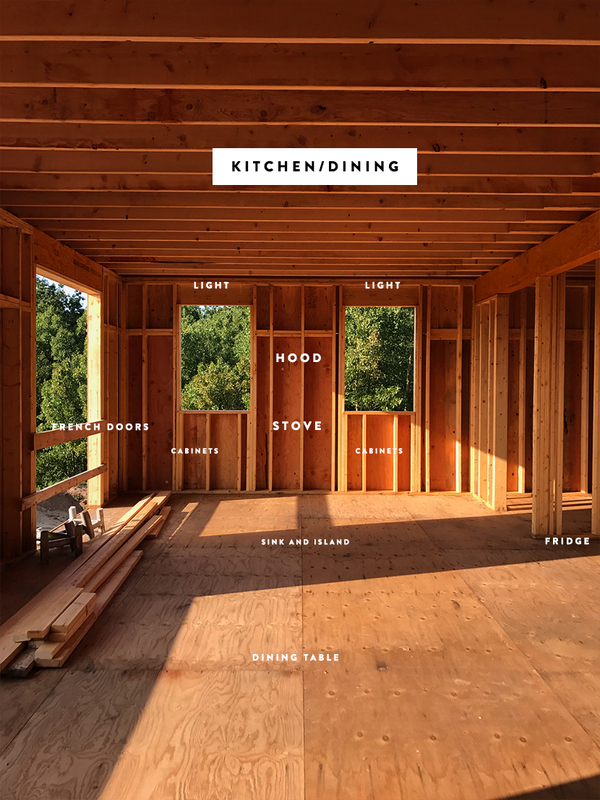 You can also follow the #BuildingHomeTFE on Instagram for photos as well. I love seeing how your house is coming together. 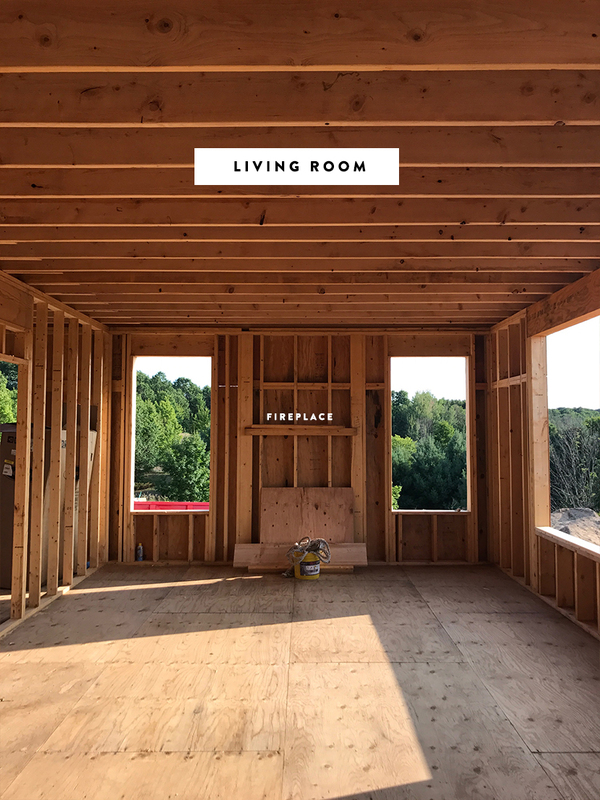 Knowing you, I can already imagine how gorgeous each space is going to be. 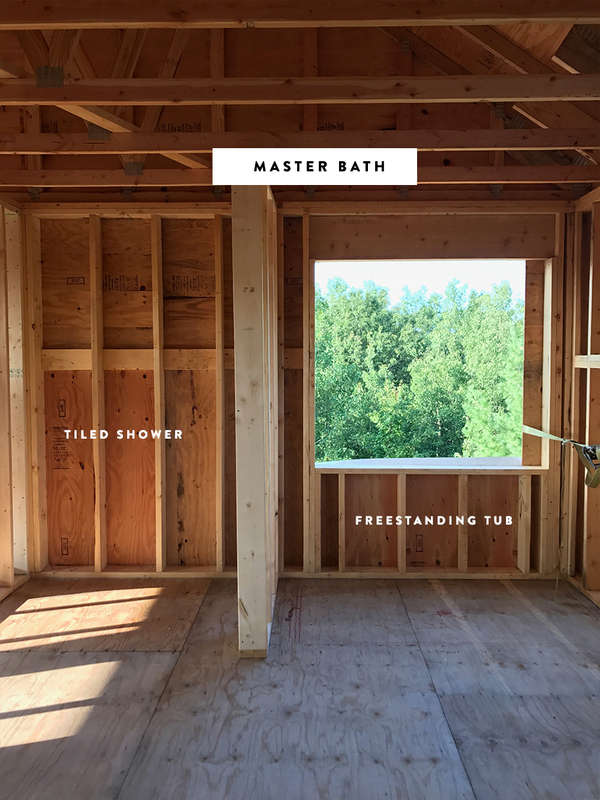 Love that you’re going free standing tub in the bathroom too. Congrats on making your (literal) dream a reality! The spot for the tub is epic! Can’t wait to see it all come together. The views out the windows are heavenly. YAY! What great news! It is so fun to see it all framed! This is amazing!! I can’t believe how fast it has gone up. So happy for you guys! Christmas there would be amazing! how many sq. feet will it end up being? I love the huge windows!! Oh my word its looKing so great! And such a perfect/functionaL layout. Did y’all come up with the Layout yourself or was it a pre-designed plan that you used? Cant wait to see the details come to life! So happy for you. Exciting times !!! Congrats!! This is beautiful! Love all the WINDOWS especially!